President Donald Trump campaigned on aggressively curtailing immigration to the US and ‘securing’ US boarders by stopping the flow of immigrants. In the weeks since taking office, the new administration rapidly moved through a series of executive orders, which left the nation’s airports in chaos, spurred national protests, and brought broad, although not universal, rebuke from the judiciary. This talk will explore the legal underpinnings of the executive orders, how they violate the Constitution or federal statutes, and, most importantly, how future orders may survive legal challenge. 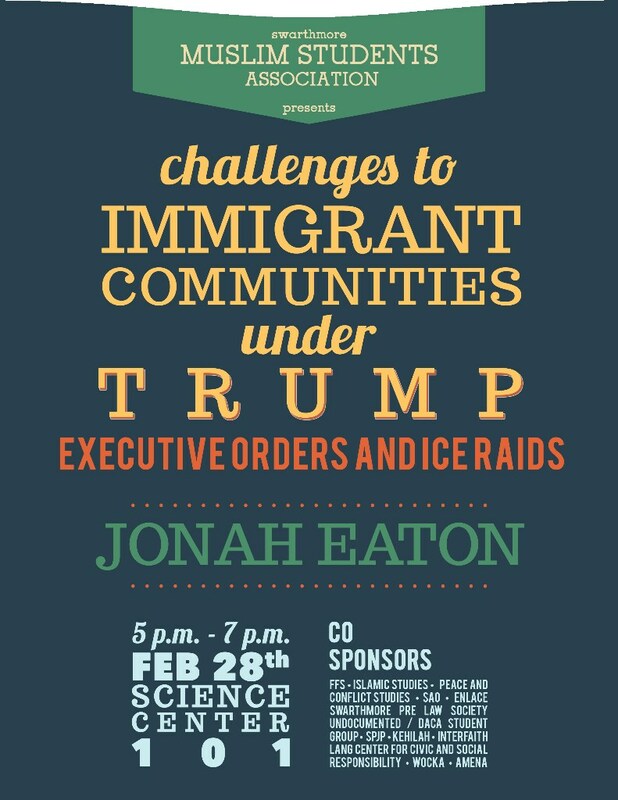 Jonah Eaton (’02), an attorney and specialist in refugee and asylum law at Philadelphia’s Nationalities Services Center, will draw on how anti-discrimination laws and Constitutional protections clash with longstanding judicial deference to the executive on matters of national security and immigration. Finally, Jonah will discuss how these orders effected immigrants and refugees attempting to come to the United States.